Very pleased - durable materials. Was the perfect size I was looking for - something bigger than a waist pack, and more secure than a handbag. Great pockets inside. Lightweight. I can wear it cross-body and slung low on my left side and you don't even notice it, it hugs your side. I like that all my personal items are secured on my person while walking, shopping etc. This backpack is a must have. If you are looking for the perfect backpack for traveling or for work, this is the one. 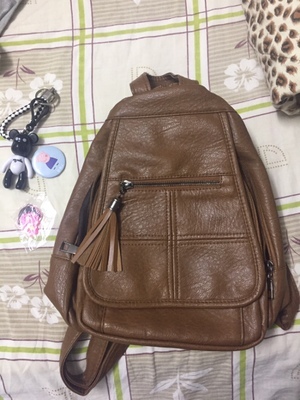 It has a lot of pockets inside and outside of the bag which is good for organization. The backpack is lightweight and comfortable. 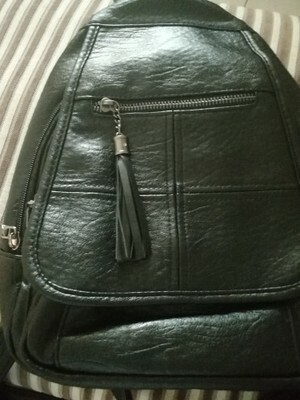 I use this bag everyday and I admire it every time I see it. I needed a bag for day hiking. This is perfect. Adjustable strap so I can wear it over either shoulder. So many inside zipper pockets I have a secure place for anything I might need to carry. Would recommend to my friends. It was the perfect size .. Just the right number of pockets !! I am EXTREMELY happy with my purchase!! Was perfect for our trip to universal studios!! Wanted something big enough for my wallet, glasses, ponchos, and still able to take on rides; yet still small enough that you're not the one stuck carrying everything!! !